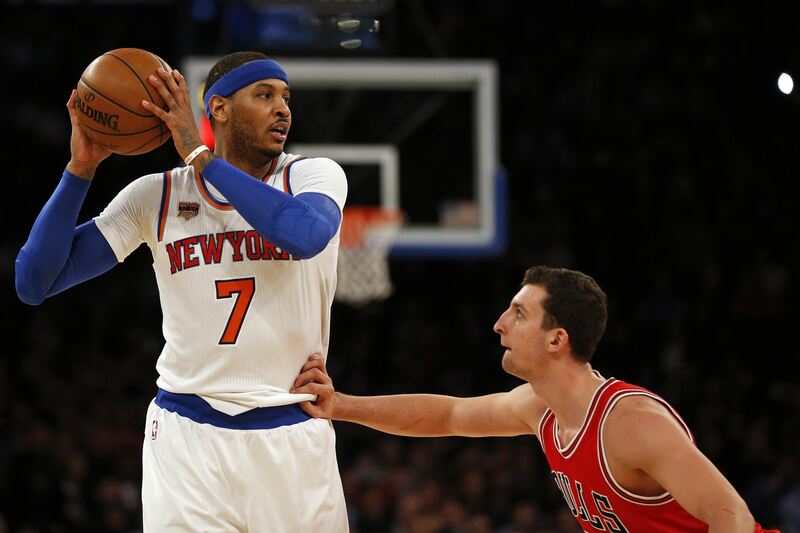 With both team’s missing their best players (yes, Kristaps is our best player) the New York Knicks found a way to finally get a home win, beating the Chicago Bulls 104-89. Carmelo Anthony led the way for New York, scoring 23 points on 52.6% shooting and grabbing 9 rebounds as well. Derrick Rose, who has been under a ton of fire lately for missing Monday night’s game against New Orleans, once again played well, finishing with 17/4/4 on the night. Without Jimmy Butler the Bulls looked lost offensively for much of the night. Dwyane Wade led the team in scoring with 22 points, but did so on 20 shots. Up next, the Bulls host the Pelicans for the first time this year. Chicago swept New Orleans last season, handling them rather easily. The Knicks visit the 2nd best team in the conference Sunday in Toronto, looking to end a four-game losing streak against the Raptors.